Idaho Central Credit Union’s mission is “Helping members achieve financial success.” This is the very core of what we do every day. In order to achieve our ultimate goal of providing exceptional, personalized service, and given our diverse field of membership, it is imperative that we instill trust and create loyalty in all aspects of offering financial solutions to our members. Idaho Central Credit Union is in business to help members achieve financial success! Every decision we make is made with the intent of remaining true to this mission. To help us do so, we have four core values: honesty and integrity, respect and dignity, growth and performance, and improvement and accountability. 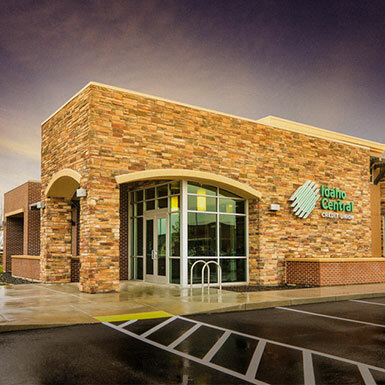 Idaho Central Credit Union has multiple convenient locations across Idaho. You can find us throughout the Treasure Valley, Twin Falls and Burley, Eastern Idaho, to North Idaho. Don't have time to stop by a branch? Give us a call and let one of our agents give you the personalized service you deserve. Idaho Central Credit Union is The Best Places to Work in Idaho winner offering rewarding career opportunities. Are you enthusiastic, motivated and positive? Are you dependable, hard-working and resourceful? Is providing legendary service important to you? Do you want to join a team that is driven and goal-oriented? Idaho Central team members have walked miles to fight cancer, painted homes for senior citizens, built homes for Habitat for Humanity, entertained spectators at sporting events, and collected toys to support Toys for Tots. Whether we've participated in a community event, received public recognition, or opened a new location to better serve our members, you can read about it here.